There is nothing like hearing the words “You have cancer.” Your life suddenly becomes split into two parts-the before cancer and the after cancer. Before cancer I loved my life! I had just turned 37, finished my fourth half marathon, and was in my dream job-teaching English as a Second Language Pre-k students in a Texas school district. Life was good. When I was diagnosed with cancer, I felt ashamed. My cancer was directly related to the human papillomavirus (HPV), as I had advanced cervical cancer, stage 2b. At first, I thought it was something that perhaps I could get through and not really tell anyone. What would people think of me? How would they react? I didn’t think I would have to find out, as I was going to just tell my closest people, get through it, and get back to my great life. This was just going to be a blip on the radar. When my gynecologist oncologist put my treatment plan together, she told me that I would be doing chemotherapy, radiation, and brachytherapy (internal radiation). Suddenly I knew this was something I couldn’t hide. There was no other way to do “cancer.” I had to tell people. It was difficult at first, and there have been some people in my life who have sad hurtful things about HPV and cervical cancer because they are ignorant to how common the virus is and how it is spread. I came to accept that early on in my sharing and began sharing more and more of my journey on social media. I wanted people to know that if this could happen to me, it could happen to anyone. After my initial treatment, cancer remained. I needed a radical hysterectomy that saved my life but gave me a whole other set of issues. I developed a vesico-vaginal fistula that required a bladder and vaginal reconstructive surgery. While I was cancer free, it was probably the lowest I have been, considering this was year two of just one thing after another…all because of cervical cancer. The surgery and recovery were the hardest part of my cancer battle and just like almost everything with cancer, it led to another issue. Chronic Kidney Disease. Ugh. What happened to cancer being a blip and me returning to the great life I had before? 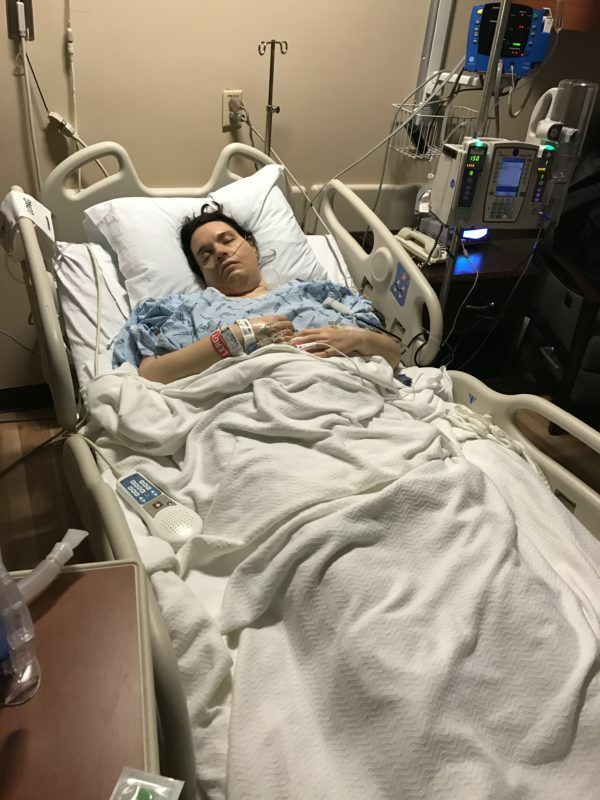 I was diagnosed with stage 3 CKD and have been learning to adjust to cancer survivorship and life with a chronic illness. During my time through treatment, I would be at home and Googling like crazy to find someone who was like me. I couldn’t be the only person out there? I started searching the hashtag #CervicalCancer and that lead me to these women using the hashtag #Cervivor on Instagram. I started connecting with the women online and realized they were part of something much bigger! They were like me, because they were wanting to do something to make people aware of their stories. They wanted people to know about HPV and cervical cancer! I had found Cervivor. 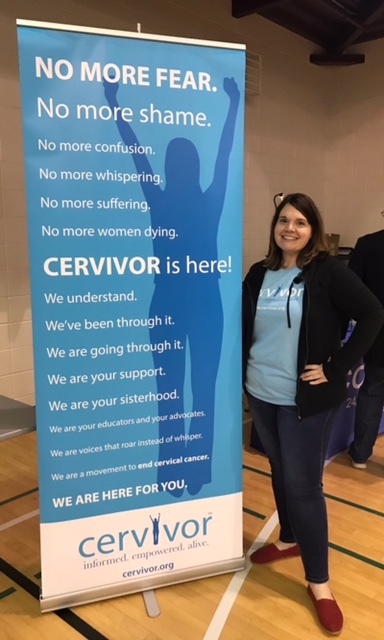 I began getting to know the women of Cervivor online and went to Cervivor School in 2017, an advocacy school for cervical cancer survivors who want to be patient advocates. Cervivor trained me and gave me a platform to share. It changed my life completely. I was no longer this hopeless person who was lost in the trauma of cancer. I was a patient with a voice and a story, with the power to change lives. Cervivor helped me heal and gave me purpose. Once I felt my own power, I began to desire to run again. Cervivior Founder and friend of Ulman since 2002, Tamika Felder, connected me with someone she had met many moons ago. Her name was Holly as well and she was a cancer survivor, too! Sounded good to me. 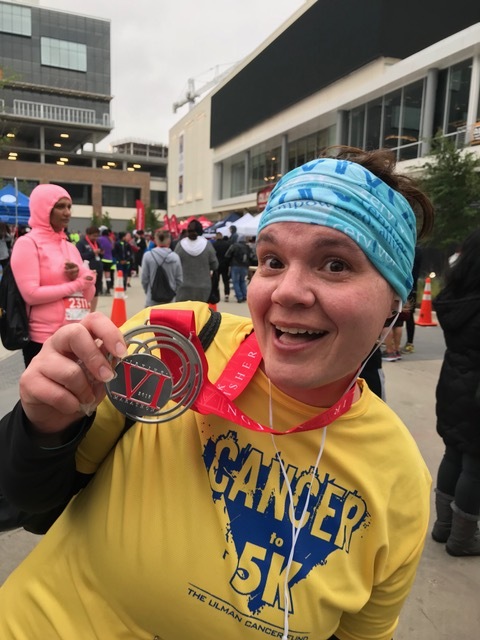 Tamika connected me with Holly Shoemaker of Cancer to 5K and pretty much the rest is history. 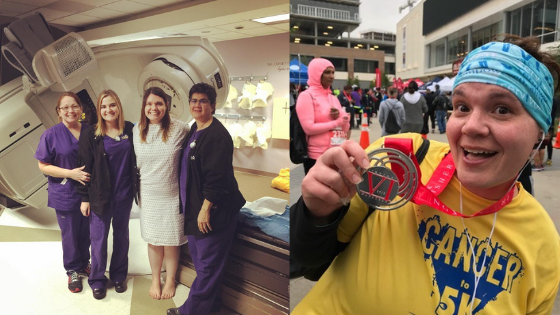 I quickly fell in love with Ulman, the program, and the fact that someone who understood cancer and all that I was working to overcome, was my coach. Holly understood and that meant everything. Cancer to 5K was hard but has been one of the most rewarding things I have done since cancer. Being able to train and run again showed me that I can reclaim parts of my old-self, in survivorship. I cannot thank Ulman and Cancer to 5K enough for their dedication to helping patients navigate cancer and life afterwards. It’s incredible to think back to 2002 when Tamika was navigating her own AYA survivorship. Because of her positive experience with Ulman and the relationship she has forged there, I was able to be connected. I am so proud to part of that ripple effect and hope that I can be a source of connection and hope for others. Holly works as the Community Engagement Liaison for Cervivor and resides in the Dallas, Texas area with her CervivorMan and fur-baby. She is looking forward to her second round of Cancer to 5K later this year.